HOUSTON EEOC CLAIMS SHOULD ALWAYS BE FILED IN A TIMELY MANNER. THERE ARE STRICT TIME LIMITS THAT APPLY TO YOUR CLAIM. BEWARE THAT THESE EEOC RULES MAY BE FOUND IN PART AT WWW.EEOC.GOV. IF YOU WOULD LIKE ASSISTANCE IN DEALING WITH THESE MATTERS CALL US TODAY AT 713-721-0500 FOR A CONSULTATION TIME. BECAUSE OF STATUTES OF LIMITATIONS ONE SHOULD FILE A CASE AS SOON AS POSSIBLE FOR MAXIMUM PROTECTION, BUT FILING WITHOUT RECEIVING LEGAL ADVICE FROM A LAWYER CAN BE SEVERELY DAMAGING TO YOUR CASE. CALL TODAY FOR A CONSULTATION TIME. WE ARE NOT THE EEOC. HOWEVER, WE FILE CASES WITH THE GOVERNMENT ON A ROUTINE BASIS AND CAN ASSIST YOU IN DEALING WITH THIS GOVERNMENTAL ENTITY. THE EEOC DOES NOT REPRESENT YOU! RETAIN COUNSEL TO ASSIST YOU IN DEALING WITH THE FEDERAL GOVERNMENT. BEWARE. YOUR DEADLINE FOR FILING IS VERY SHORT. DO NOT WAIT TO ACT. 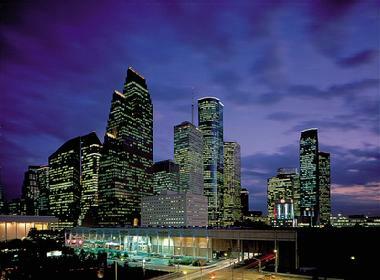 HOUSTON EEOC CLAIMANTS HAVE TO UNDERSTAND MANY AREAS OF LAW IF THEY INTEND ON FILING A CASE PRO SE. IT IS UNWISE TO ACT AS YOUR OWN LAWYER IN PRACTICALLY EVERY CASE UNLESS YOU HAVE NO OTHER CHOICE OR A FACING A CRIPPLING DEADLINE. TODAY'S EMPLOYMENT LAW ARENA IS QUITE COMPLEX. ISSUES INVOLVING DISCRIMINATION, SEXUAL HARASSMENT, GENDER DISCRIMINATION, HOSTILE WORK ENVIRONMENT CLAIMS, WRONGFUL TERMINATION, UNEMPLOYMENT CONSIDERATIONS, SEVERANCE AGREEMENT CONTRACTS, ADA, ADEA, TITLE VII AND THE PLETHORA OF OTHER CLAIMS MAKE PRACTICE BEFORE THE EEOC EVEN MORE COMPLICATED. YOU NEED A LAWYERS FOR ADVICE AND INFORMATION TODAY. YOU MAY EMAIL US YOUR NAME AND PHONE NUMBER WITH A BRIEF DESCRIPTION OF YOUR CLAIM TO OUR OFFICE. THE EMAIL ADDRESS IS eeochelp@yahoo.com BUT DO NOT SEND TIME SENSITIVE OR CONFIDENTIAL INFORMATION VIA THE INTERNET. YOU MAY ALSO CALL US AT 713-724-5601 TO SCHEDULE AN APPOINTMENT. Each Case Is Different and Past Successful Results Do Not Guarantee any Particular Outcome in any Given Case. Mr. Davis has been licensed in the Southern District of Texas Federal Court system since 1999. Nothing contained in this website is intended to create an actual offer to extend legal services to any particular reader of this content. No attorney/client relationship exists as a result of an individual or entity reading or utilizing the contents of these pages. If you want actual legal advice you should call or visit a licensed attorney. The use of the Internet or this form for communication with the firm or any individual employee of the firm does not establish an attorney-client relationship. Confidential or time-sensitive information should not be sent through this form or via email. You may also call us at 713-882-5602 or 713-724-2433.